FSA Hella Flush, Threadless, Cartridge Bearings, Tapered 1-1/ 8" to 1-1/ 2"
To run the forums, host the website, and travel, I charge a universal service fee for my reviews. This review was sponsored by Specialized. My goal is to be transparent and unbiased, this video and written review are not meant to be an endorsement of Specialized products. 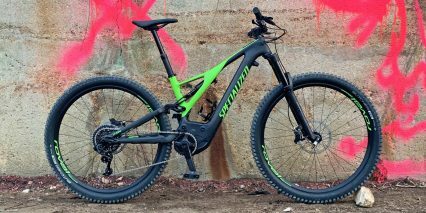 The second generation Specialized Turbo Levo, like the first gen, is inspired by the non-electric Specialized Stumpjumper platform. 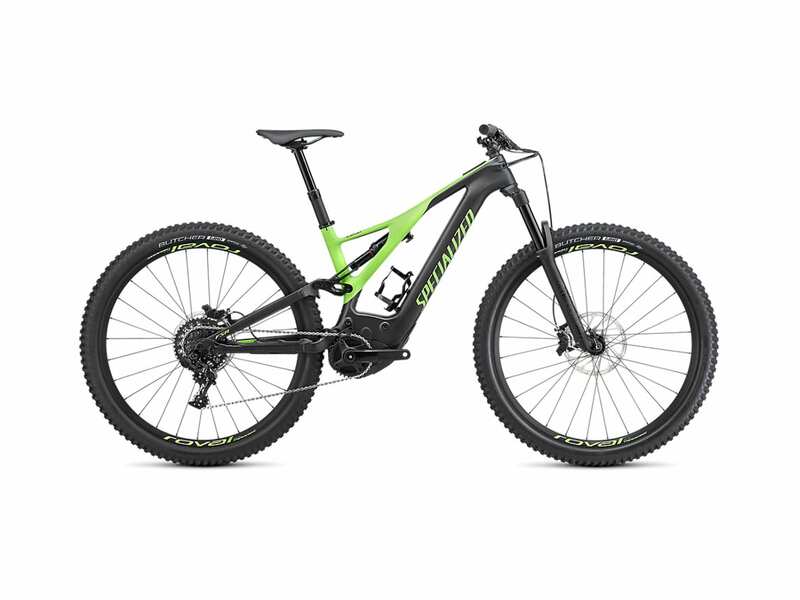 It’s a bike that performs well on cross country, trail, and light all mountain terrain. 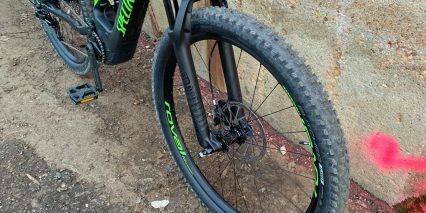 The company no longer offers a hardtail Levo, and has moved to a 29″ wheel size vs. the slightly smaller 27.5″ before The larger wheel diameter is somewhat offset by the narrower 2.6″ plus sized tires vs. 2.8″ from before. This means the tires are narrower, produce less drag and noise, and can squeeze through tighter sections of rock and roots. 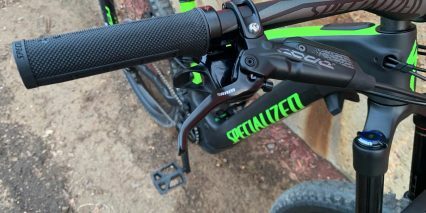 Specialized has always done an amazing job with frame design, and the new 2019 Levo has an asymmetric rear with right-arm section that now houses the cabling. 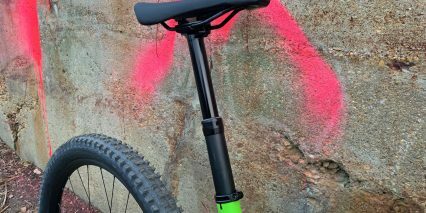 This allowed the downtube to become narrower, reduced material, and apparently adds stiffness to the frame. 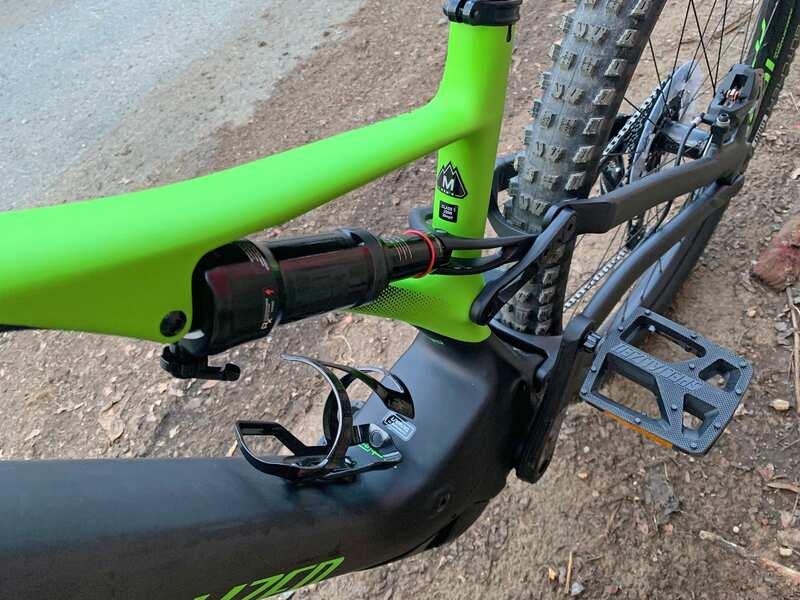 My initial thinking was that cables could be run through the top tube and the rear shock supports could go symmetrical again (which is slightly narrower) but that would interfere with the seat tube and seat post insertion. 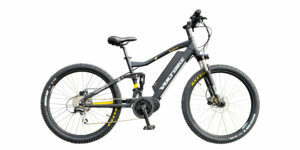 The bike comes in two colors and four frame sizes, so you can find a perfect fit for your style and body. 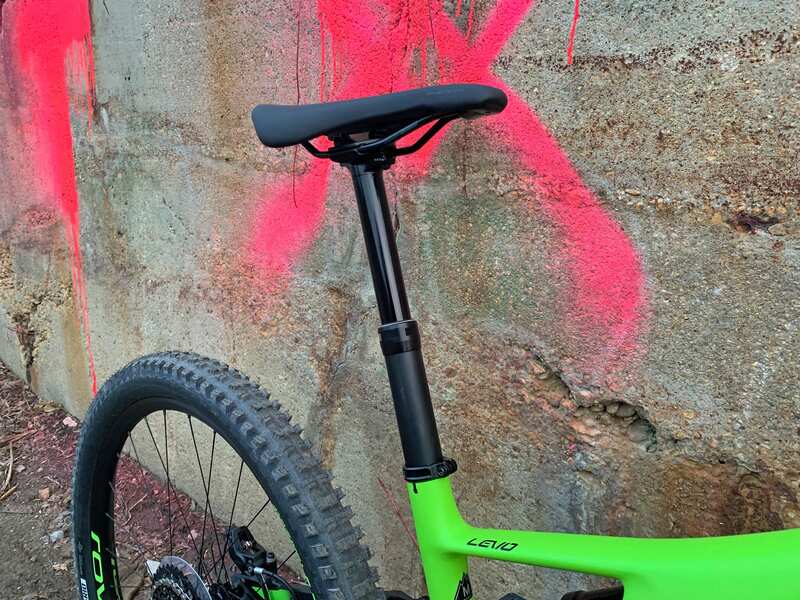 The dropper seat post makes mounting, ascending, and descending a breeze, and I like that they opted for a thicker seat tube, since the main section of frame is carbon fiber. 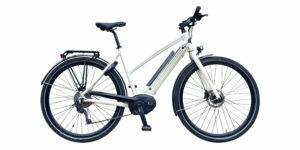 The rear triangle is lightweight M5 aluminum alloy. 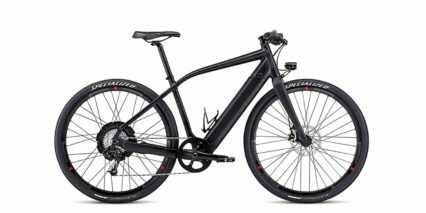 One thing I’ve always noticed about Specialized is their marketing/branding naming approach. 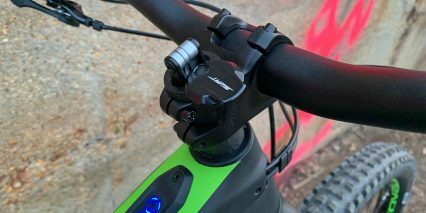 You get the M5 aluminum and “Hella Flush” headset… it reminds me that the team there has scrutinized everything, but sometimes makes it difficult to compare bike to bike. 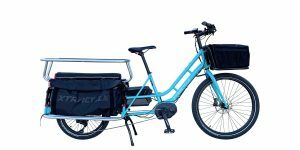 I’ve done my best to list out all of the specs in human-readable terms above and describe the bike on camera with Charlie (the owner of ElectriCity Bikes in Washington DC). 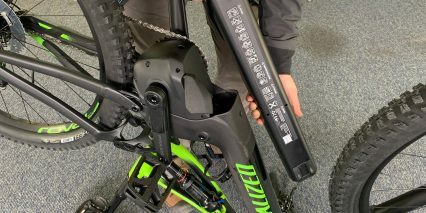 Other big updates for the 2019 second generation Turbo Levo platform include a SWAT toolset that fits into the steering tube, under a swivel-top stem cap, a much more reachable Turbo Connect Unit (TCU) button pad on the top tube, awesome slap guards on the chain stay (top and bottom) as well as the right seat stay, an improved tool-free adjustable chain guide, smartphone app features like stealth mode that turn off the LED lights and shuttle mode that let you dial in motor torque at low RPM, a new S button that jumps all the way up to the highest level of assist with just one click, a much more reachable control pad with S, +, and – keys vs. a single button with circular selections, an enormous 700 watt hour battery pack, and of course, the brand new Brose Drive S Mag (magnesium) mid-motor that’s lighter, more powerful, and more efficient than previous iterations. 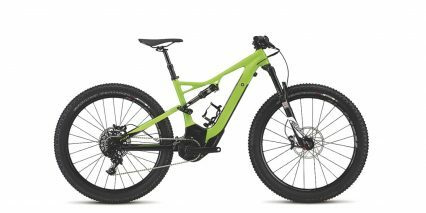 The bike is incredible… it’s lightweight, beautiful, relatively quiet, extremely well balanced, and just a blast to ride. Consider checking with your dealer to get the correct size and color on order early because I’m guessing this bike could be on short supply come summer, especially the Expert model. Driving the bike is a compact mid-motor from Brose with redesigned casing that uses less material. 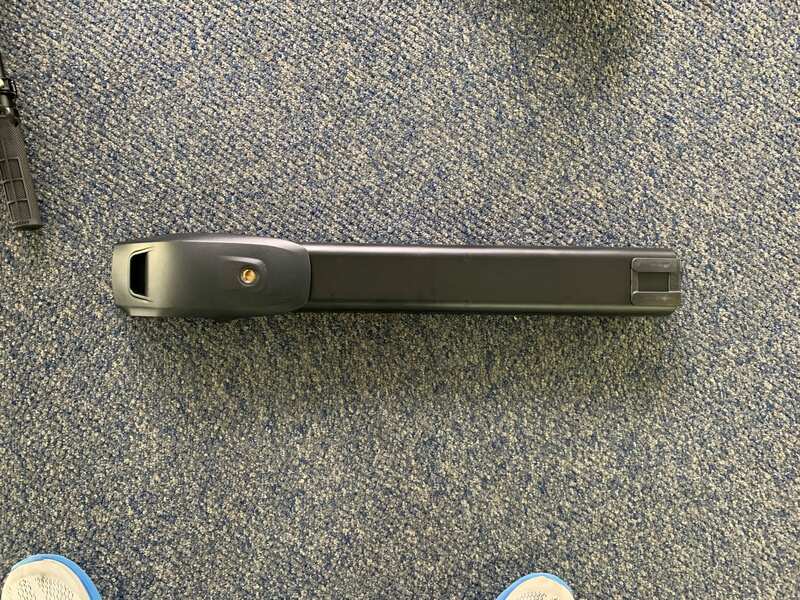 It’s also using a lighter weight material; magnesium verses aluminum alloy. 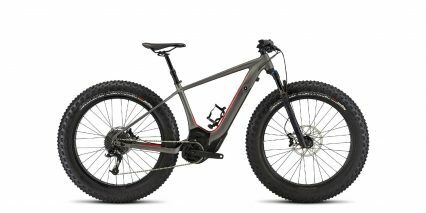 My guess is that the internals are similar to the Drive S ALU but the weight dropped from 7.5lbs to 6.39lbs. 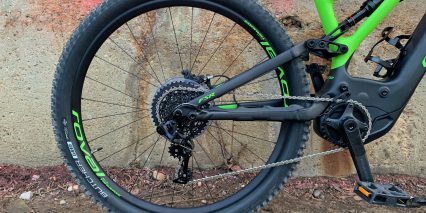 You still get a very narrow Q Factor, optimal spindle placement (to reduce chain stay length for snappier turns and a shorter overall frame length), and excellent ground clearance. 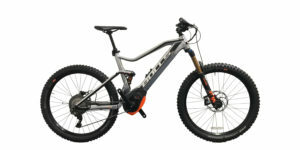 This motor is compact and the casing is color matched to the rest of the frame with carbon fiber and plastic surrounds. 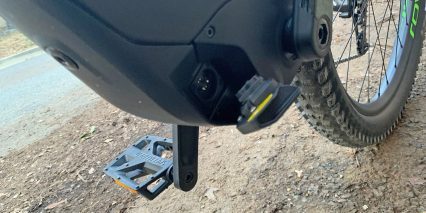 There’s a sturdy plastic skid plate below, in case you do take a rock or log strike with the suspension fully compressed on a drop. 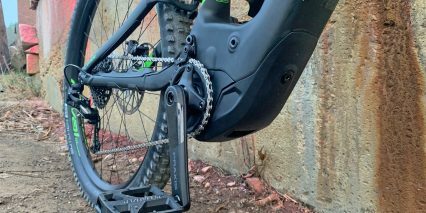 Note that the crank arms are 165mm vs. 170mm to reduce pedal strikes. I love that Specialized included some decent plastic pedals for test rides, because I tend to not get clip-in shoes for riding ebikes and find it annoying when you have to spend more money for them. I’d still consider swapping the stock pedals for some sturdier alloy or magnesium pedals with adjustable pins over time, but again, these aren’t too bad to start. So, the motor unit is small, but it really packs a punch. 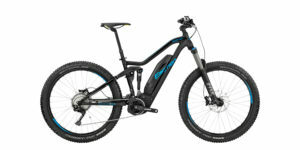 You get 250 to 560 watts of power output with up to 90 newton meters of torque! That’s extremely high for a mid-drive unit. 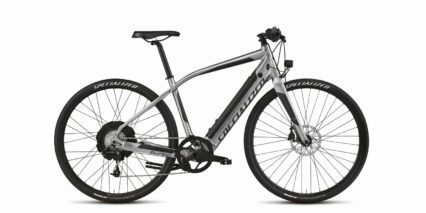 Power is delivered based on your rear wheel speed, pedal cadence, and pedal pressure. These signals can be adjusted in the optional smartphone app called Mission Control. 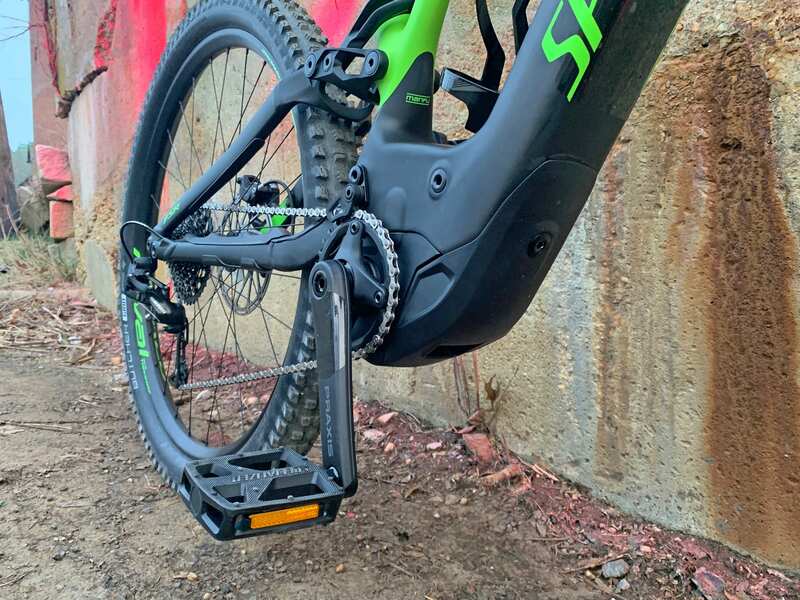 The new Shuttle mode is all about torque, allowing you to raise it in lower cadence situations, sacrificing battery efficiency for more help if you prefer to pedal slow and reduce cardio while climbing. 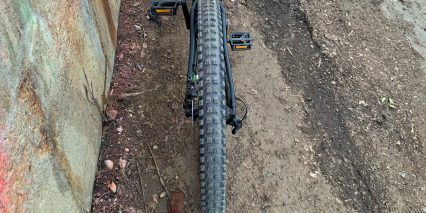 I personally love this feature because my knees are sensitive and I don’t always want to pedal fast. 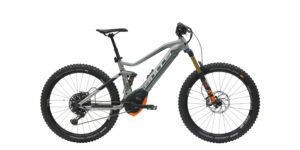 If, however, you do want to spin, the Brose motors all support 120+ pedal RPM. 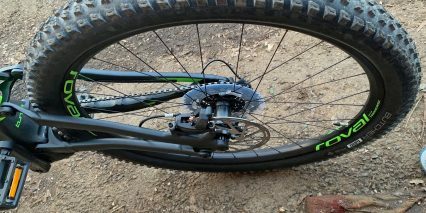 This means it won’t drop out on you while downshifting on approach to a big hill. 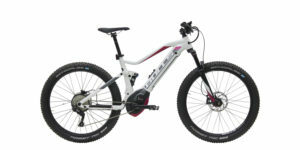 Moreso than many other competing products, the Brose motor really hangs in there at high pedal speeds. The Drive S Mag is light, more powerful, and amazingly… more efficient than its predecessors, but it’s still quiet and smooth because it contains a Gates Carbon belt drive that transitions from gears to spindle output. This reduces vibration and provides an organic feeling to the pedal experience that I can vouch for. 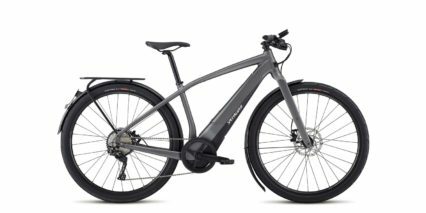 The older Drive S was my favorite between Bosch, Shimano, and Yamaha for this reason, and Brose is expanding its support and presence in North America. 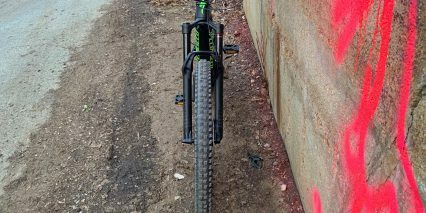 There’s no pedal drag if you do choose to pedal unassisted (no reduction gearing) and the motor is decoupled from pedal strokes beyond the maximum supported speed of 32km/h (20mph). 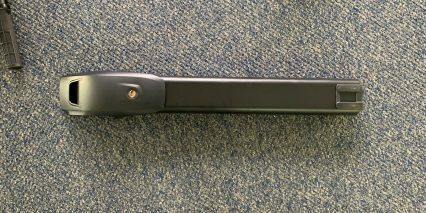 It’s a outstanding drive system, but I do feel that the charging port positioning, on the left side of the motor bulge, requires additional bending over and is in the travel path of the left crank arm… which could get snagged or bumped out of position. At least it’s magnetic, so it won’t break, and the cover seems very durable. 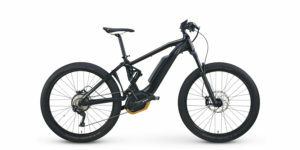 Powering the bike is a high capacity 700 watt hour lithium-ion battery pack. The cells are high-density 21700 cells arranged in a 36 volt 19 amp hour configuration. 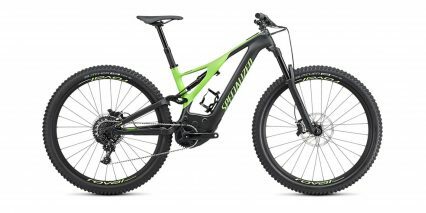 That’s a lot of energy to spend on range or steep climbs, and the bike spends it efficiently if you shift gears thoughtfully. 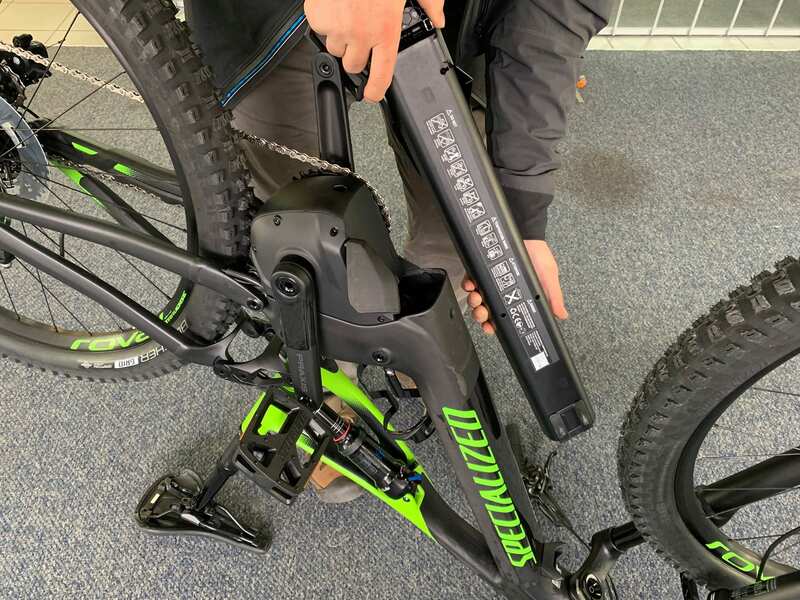 The pack itself is a long cylindrical tube that slides up into the downtube from the bottom bracket area, securing with a 12mm bolt and standard hex key head. 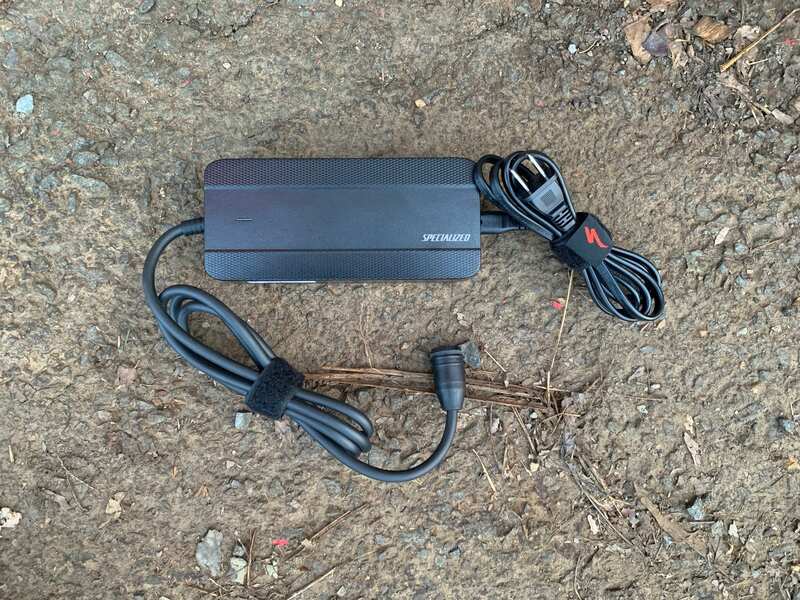 I removed the pack for photos and weighed it with my hand scale at roughly 8.4lbs. Unfortunately, the pack is not backwards compatible with first generation Turbo Levo or current generation Turbo Kenevo electric bikes. 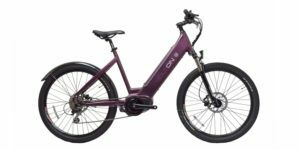 My guess is that we will eventually see the first generation batteries phased out in favor of this new design, and that means you may be able to get a deal on last generation Levo. Again, this pack does not incorporate a button pad and light ring like the older one. 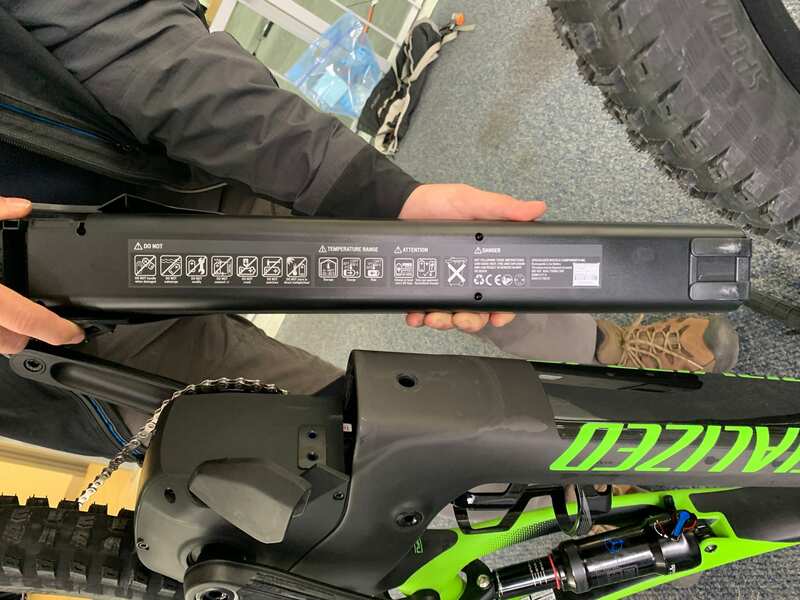 You either have to lift the bike or flip it upside down to remove the battery, since it doesn’t click up into the downtube like most other frame-integrated designs from Bosch, Shimano, and BMZ (as we see with BULLS products). One of the really neat parts of the Brose drive system is that they leave it open for custom battery integration and displays. Specialized has capitalized on this opportunity, and they’re big enough to make it work and provide a sense of support ongoing, but it’s not nearly as universal or cross-compatible as the Bosch PowerPack. 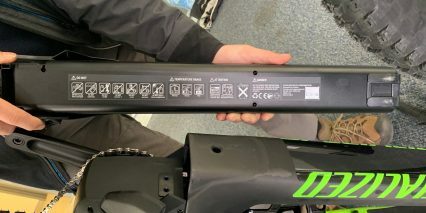 This battery is priced around $1,200 all on its own… so be careful when removing not to drop, and keep it charged at least 50% if you know you won’t be riding. Extreme heat and cold can degrade and limit the performance of lithium-ion packs, so keep that in mind. 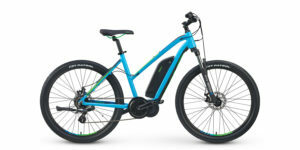 Charging is pretty efficient because the bike comes with a faster 4 amp charger, and the compact size and ~1.9lb weight makes it easy to stow in a backpack. 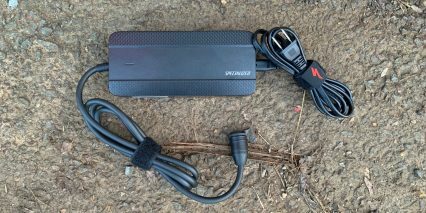 I believe that Specialized also sells a compact 2 amp travel charger that’s slower but smaller and lighter at 1.3lbs. 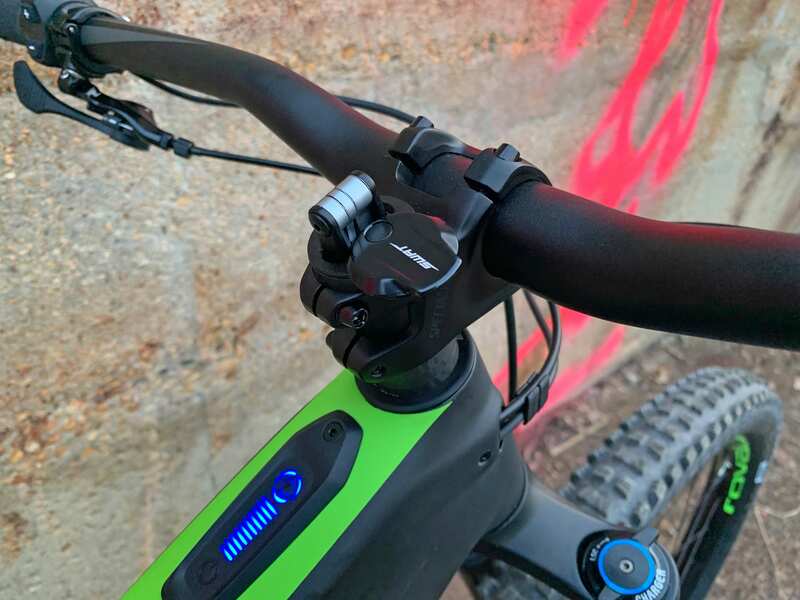 When you’re ready to power the Turbo Levo Expert up, make sure the battery is charged up, seated, and screwed in securely, then press the rubberized power button at the lower section of the Turbo Connect Unit (TCU). 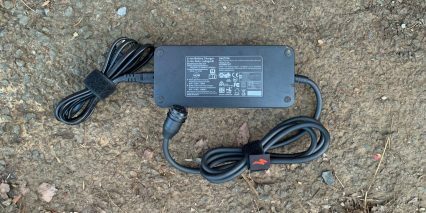 This unit is mounted on top of the top tube, and includes the necessary circuitry to pair with Bluetooth Mission Control smartphone app. 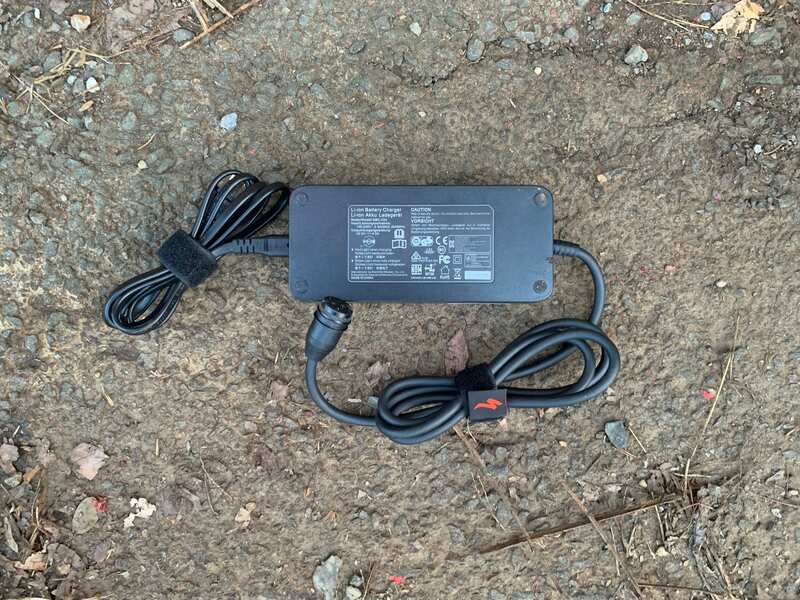 Optionally, I’m told that users can also buy and install the Turbo Connect Display which is a little grayscale LCD with feedback about current speed, trip distance, battery percentage and more. I’ve spent some time with this display on the Turbo Como and Vado urban models, and it works well. Everything critical is summed on the TCU with 13 blue LED lights. There’s a stack of ten that represent 10% steps in battery charge level and a circle of three that represent assist levels 1-3 (the third being Turbo). So, the lower portion of the TCD has the power button, then you get the ten bars, and in the center of the assist level readout is another button that cycles through assist levels, but interestingly… it only goes 1-3 and won’t let you cycle to zero. In order to completely turn off assist while still keeping the TCU on, you have to use the button pad near the left grip. This button pad has an S at the top (which jumps you to assist level 3 immediately) and a + and – button that navigate up and down. Now, why would you want to navigate to assist level zero and still leave the TCU on? 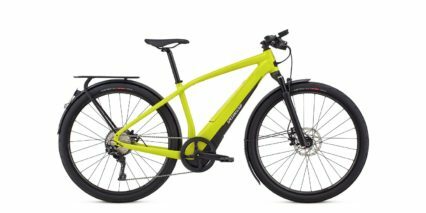 Why not just ride the bike without any power! 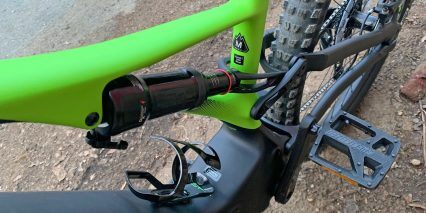 I’m guessing that aftermarket lights could be wired in, or you could run the Mission Control app to interact with the bike and still keep assist at zero to conserve battery life. Anyway, those are the little quirks I noticed. 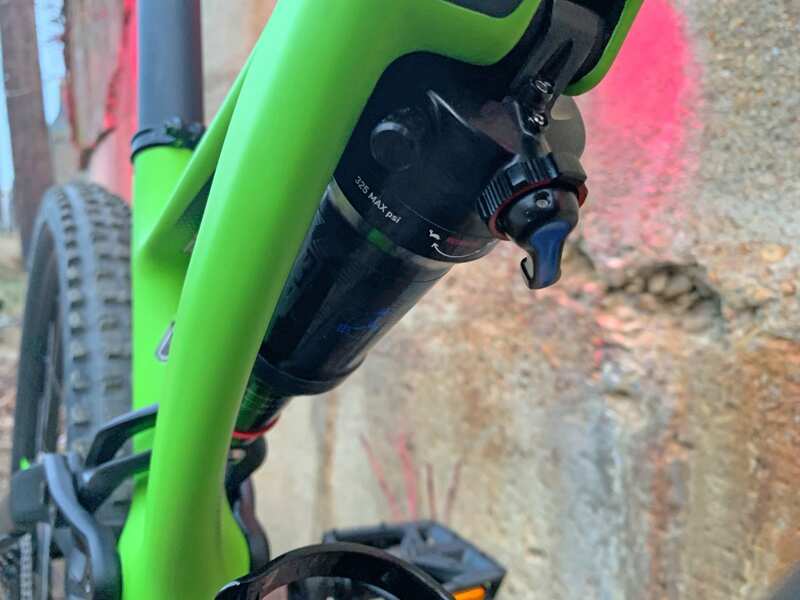 The TCU is much easier to reach than the older downtube-side mounted control ring, and this one can be turned to stealth mode where the lights go out. 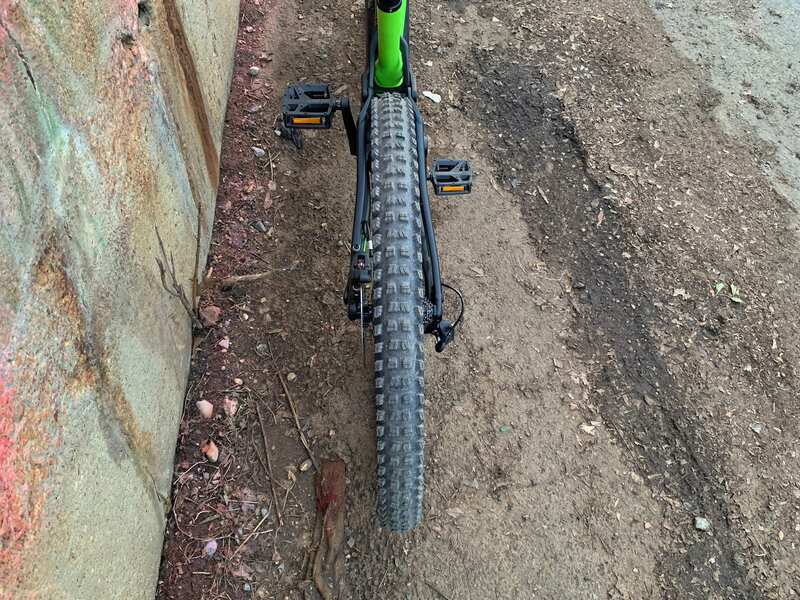 That’s nice if you are riding in the evening or on a trail where people aren’t friendly to electric bikes. 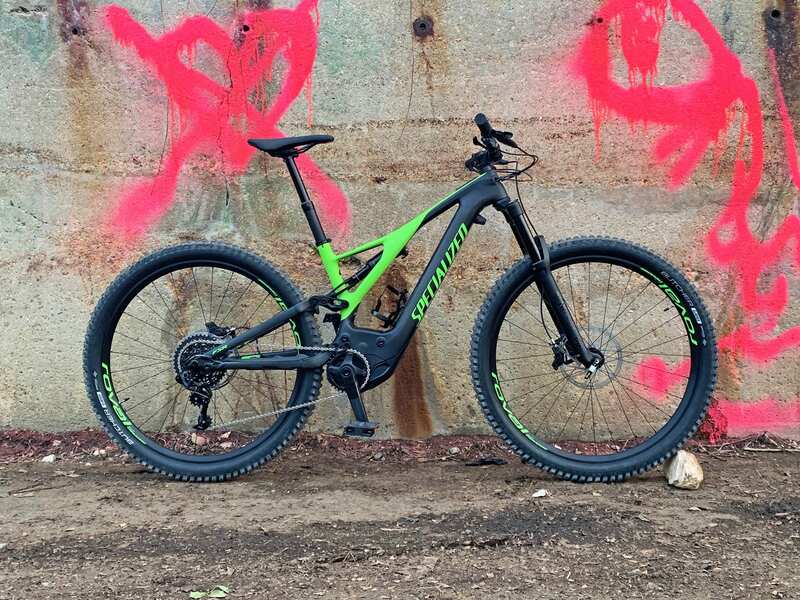 The Turbo Levo is truly one of the most stealthy electric bikes I’ve ever seen. It’s intuitive to use, the control systems are placed in such a way that they shouldn’t get damaged easily in the event of a crash, and they adapt to you vs. forcing you into workarounds like black electrical tape to cover the LED lights (which was apparently done by Gen 1 owners who didn’t want to stand out). 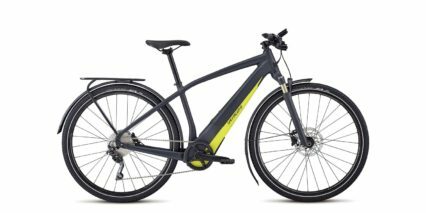 There’s always a lot to say about high-end electric bikes, so much thought has gone into the design, and so many aspects have been custom made vs. off the shelf. That’s absolutely true of the Levo lineup, and Specialized products in general. 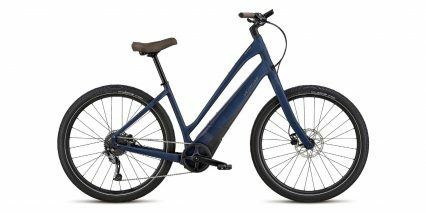 It’s neat to see ebike specific suspension and drivetrains (derailleur) that can withstand the forces of electric drive with added weight. 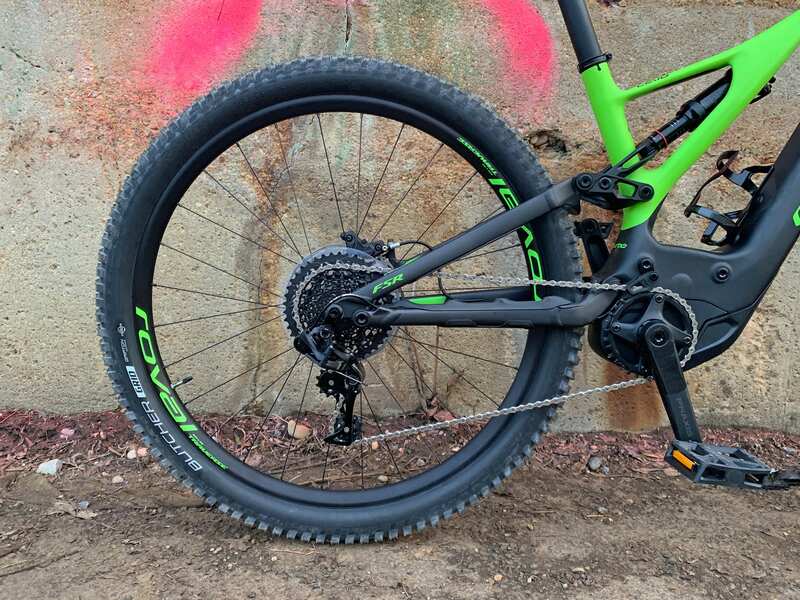 The brakes on this bike are another highlight for me, because they offer 200mm rotors (larger for leverage and cooling) with tool-free adjustable levers. It’s the kind of component I’d expect to see at this price range, but it’s still worth celebrating. 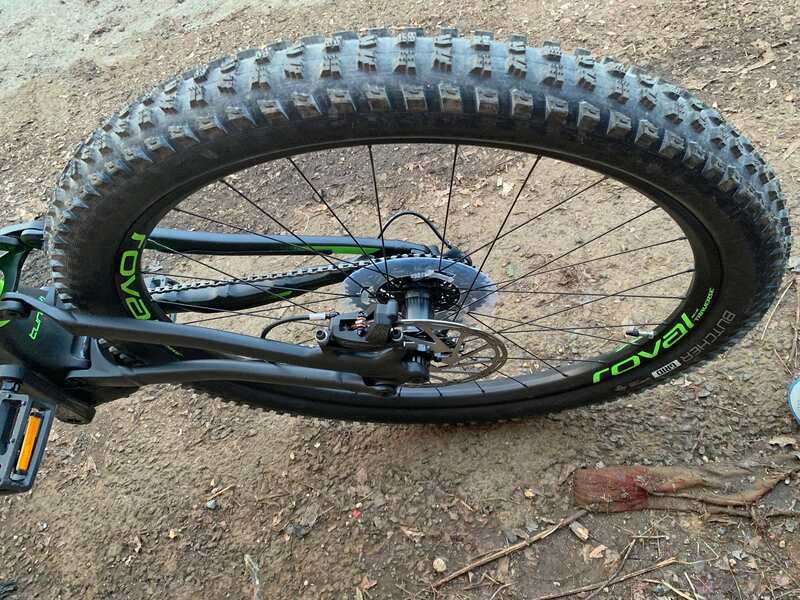 You want larger rotors when you’ve got such large wheels. The brake lines, like the shifter line, and electrical line, have been internally routed. 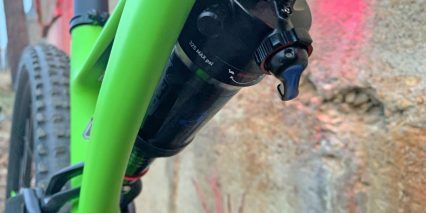 Balancing out the SRAM trigger shifters on the right side of the handlebar is a shifter-like dropper post lever on the left. 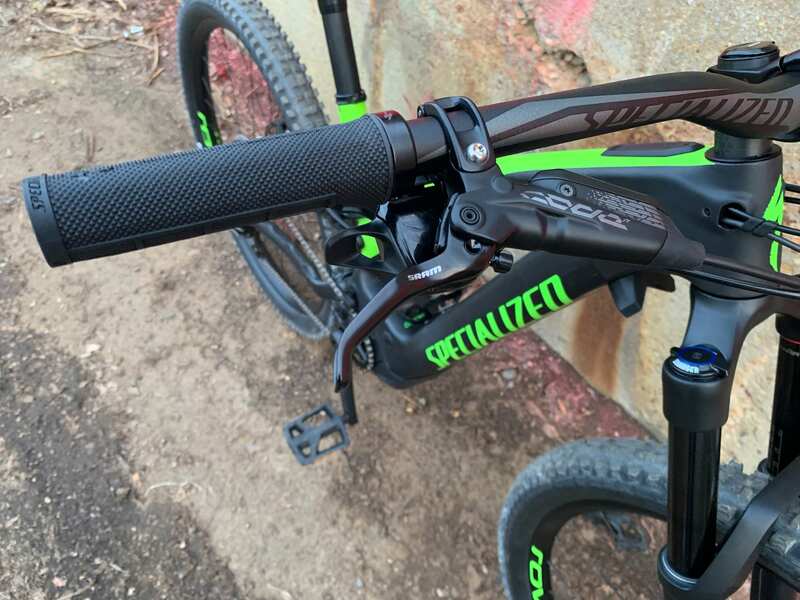 I much prefer this lever design to the above-bar levers on many competing products. As always, I welcome your feedback, corrections, clarifications, and deeper observations in the comments below and the Specialized forums. 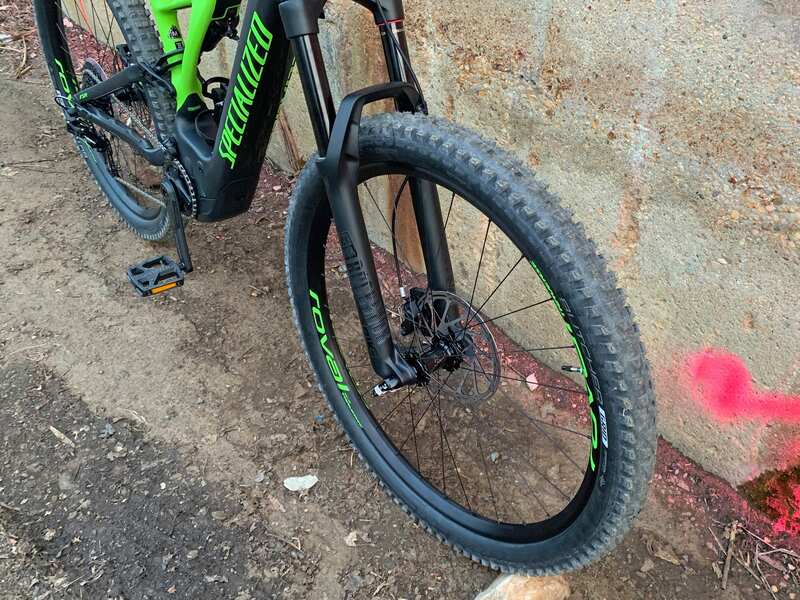 This is a space meant to be ad limited and open so you can share your bike, provide your own experience with Specialized customer support and dealers, and post your custom setup. 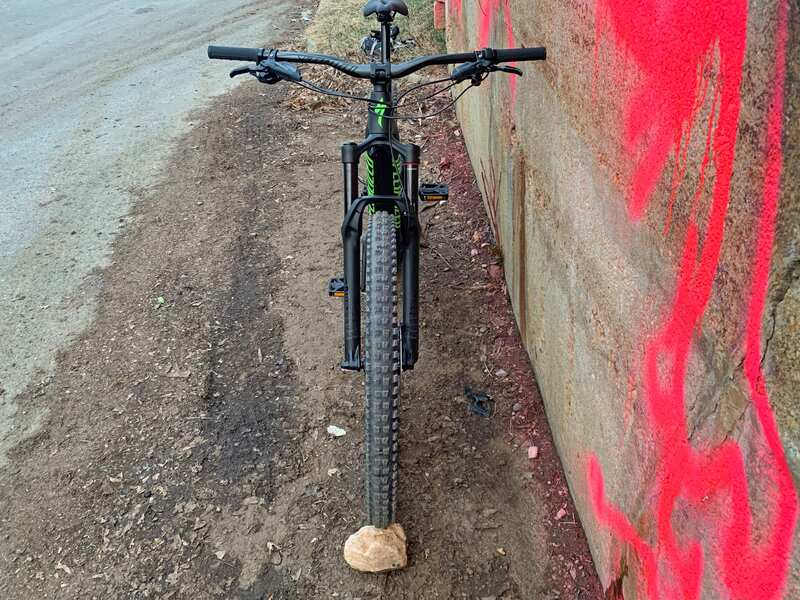 Have fun out there, and ride safe! 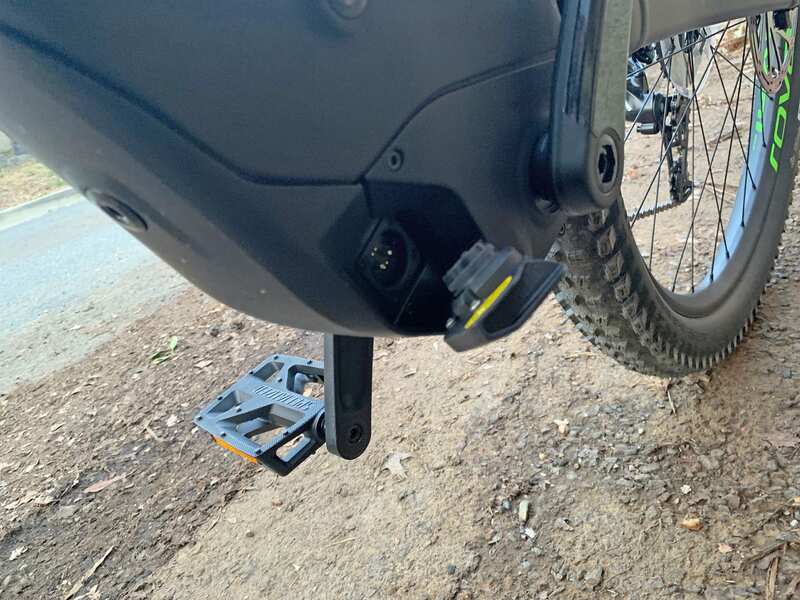 Tight tolerance on the battery pack alignment and locking system, you don’t hear it rattling around at higher speeds off-road, a sturdy 12mm bolt holds it in securely from the base, and it can be charged on or off the bike!